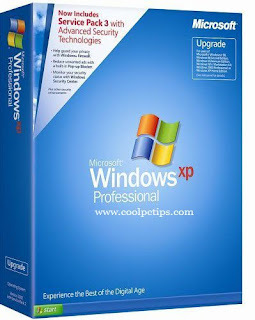 Hi Friends, Today’s post is very interesting where you can get a free Windows XP Service Pack 3 CD from the legend Microsoft which is worth $150. All you have to do is to go to there official give away site and just fill the form with the details which they want.Let me give a complete picture of this give away. The best part is that the cd which they give you is a updated windows cd which will contain all there previous updates and releases. I will give you a Microsoft link where you have to do exactly which i do here so that you will get a free cd from them. But remember that Shipping cost is not free. So we have to pay that which i will mention below. 2) You will be opened with a Shipping and Delivery page where you can see agreement options agree and you will be redirected to a page. 3) Next you have to select your country, there are 48 different country subscription order forms. Since i live in India i have selected it and my currency will be updated to Indian Rupee. 4) This the most important part where you have to select the language of the xp cd which you want. Apart from English we also have 4 more languages like Chinese Simplified, Chinese Traditional, Chinese Traditional Hong Kong, Korean. 5) I have selected English which i am good at and now click on ORDER NOW button beside that. 6) Next page will be your shipping page where you have to enter your contact details and address with complete information so that the package will be posted to your address given here. 7) Note that for India Standard Mail Post cost is Rs: 469 and International courier Federal express cost is Rs:929. 8) After that enter your billing form and Microsoft will review the details and provide you with a receipt for future assistance. If you want more details on this then contact the below given information. Is this just the OS disk or is a license key also given? i doono whether they accept the debit card or not 🙁 but i think this xp sp3 cd is included with a license key. You can try British Indian Ocean Territories. I tried to order but the billing code for USA is not in there, where would I find it? Do you know if I can pick up the XP-SP3 CD. I am very close to Gurgoan corporate office of Microsoft. If not do you know how long it takes for delivery after payment of Rs. 469. Thanks. I am facing a problem if you can resolve, it would be very helpful. I am trying to register a digital signature at the Ministry of Corporate affairs but after filling up the form when it comes to place the DSC the DSC does not appear on the screen I have tried a lot incl downloading the requisite java. Is it possible to get Windows XP SP3 for free? How to pay the postage charge?